Rambo: Last Blood is the official title of the fifth installment in the Rambo franchise. Sylvester Stallone has been teasing the project for months, using social media to give development updates like he does on all of his projects as of late. 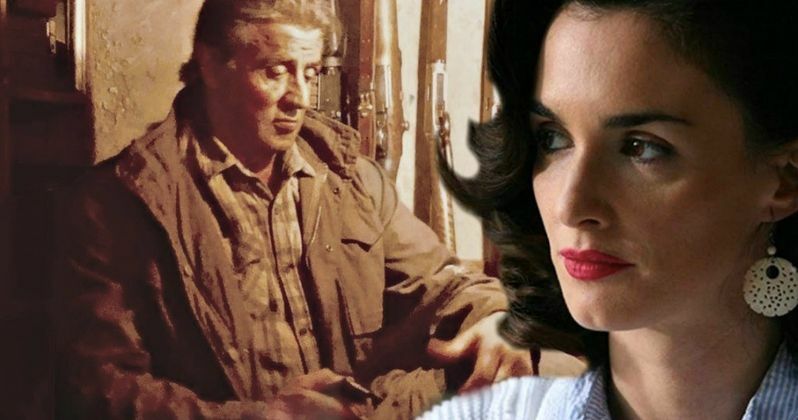 In addition to the awesome title, the sequel has cast actress Paz Vega as reporter Carmen Delgado, who works alongside Stallone's John Rambo in the film. She joins up with Rambo after her younger half-sister is kidnapped by a Mexican drug cartel. Stallone has already shared some photos from the set, which means that Rambo 5: Last Blood is already filming. Last Blood is the perfect title for Rambo 5, bringing reference to the first film's title of First Blood, which didn't use Rambo at all in the title when it was released in 1982. Though the name is awesome, it also indicates that this could be 72-year old Sylvester Stallone's last time playing the iconic character on the big screen. While Stallone is getting up there in age, he has not slowed down one bit. A quick look at his Instagram page shows that he can still work out harder than people half his age and he shows no signs of slowing down any time soon. However, this will more than likely be the last time we see him as John Rambo. Rambo 5 was first announced back in May when it was revealed that Avi Lerner's Millennium was starting sales on the project at the Cannes Film Festival. That initial report also noted that a September production start was likely, which was pretty much right on point. Excitement for the sequel started to really get going when a teaser poster was later spotted at Cannes. Sylvester Stallone stayed quiet about the movie until late summer when Sly started to tease that production was beginning soon. He then revealed a first look at John Rambo as a cowboy, which really surprised fans. In addition to Rambo 5, Sylvester Stallone just finished working on Creed 2, which could also be his last time on the big screen as the beloved Rocky Balboa. Stallone has not commented on whether or not his upcoming films will be his last as those characters, but it appears that they will, especially with the title of Last Blood and Balboa getting cancer in the first Creed film. After Rambo 5, Stallone is expected to launch into making Expendables 4 in early 2019. Sylvester Stallone is one of the hardest working actors in the industry today. The actor barely takes breaks in between productions, and even when he is taking a "break," he's training for the next role and preparing the script. While it's a bit of a bummer that Rambo 5 could be the last time that we see Stallone as the character, it's good to know that he's doing it on his own terms and ending the franchise where he envisions it. The reboots and remakes will certainly follow after the release of Last Blood. The official title and casting news was first announced by The Hollywood Reporter. Sylvester Stallone has also released a new image from the set.